#GivingTuesday is TODAY!!! 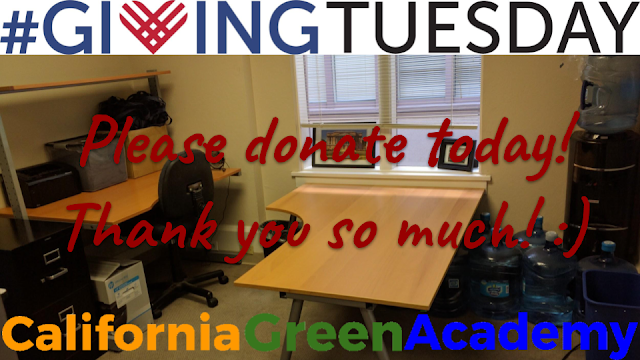 Help #CalGreen reach our goal of $7,200, with a tax-deductible donation here. Starting at 07:00 EST, #Facebook and #PayPal will be matching donations, and 100% of funds donated go to CalGreen, none to admin/processing fees!